The 1920s Jazz Band takes you back to the roaring 20s, where jazz music blossomed, gangsters and sly grog abounded and the flapper redfined modern womenhood. With a great selection of 1920s tunes, the 1920s Jazz Band help recreate the period with an authentic soundtrack for any 1920s event. 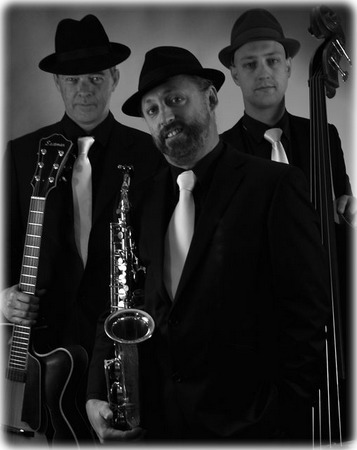 The band dresses the part with a 1920s gangster look, is available from a trio up to a sextet, and features some of Australia’s finest jazz musicians. Audio demos at the bottom of this page.